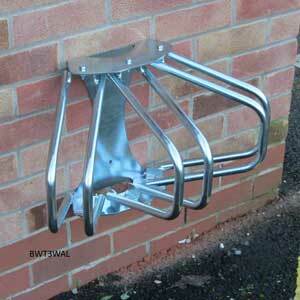 Heavy Duty UK Made Adjustable Wall Mounted Cycle Racks for 1 & 3 Cycles. 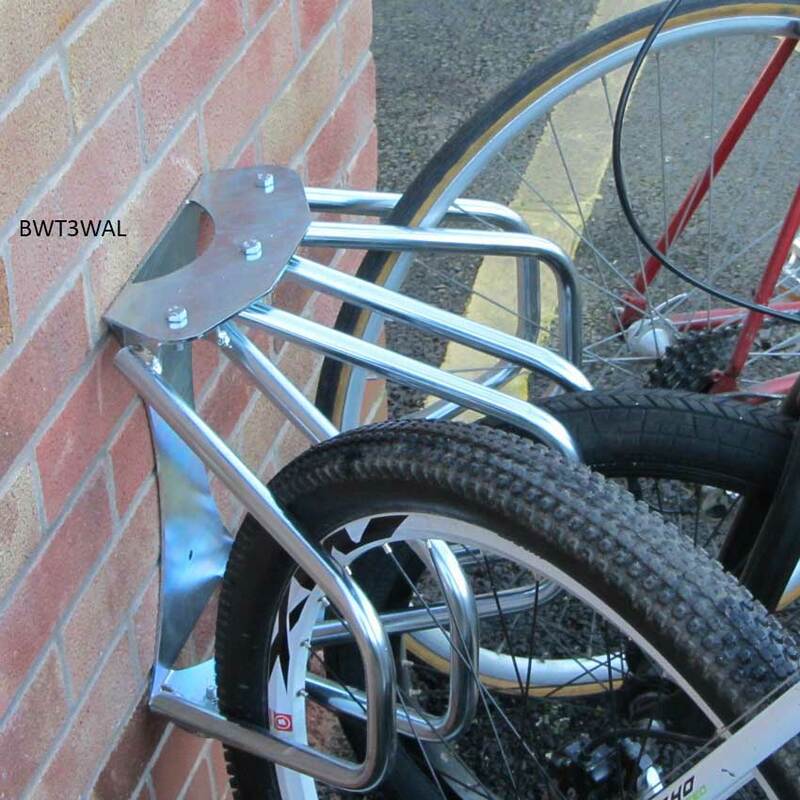 Designed to be wall mounted these Heavy Duty Adjustable Cycle Racks are ideal for use outside of business premises to store cycles for visitors and staff. 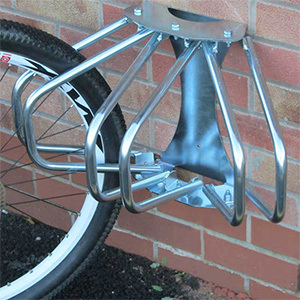 Both the single and three bike racks are manufactured from heavy duty steel before being zinc plated to avoid corrosion for a long life and clean look. The Heavy Duty Adjustable Wall Mounted Cycle rack is adjustable with a 180 degrees swivel allowing for multiple bikes to be stored at a range of angles to optimise the space available when storing multiple cycles or if space is a premium. Both bicycle racks have a maximum tyre width of 50mm which is the rough size of a mountain bike wheel. 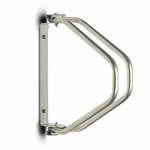 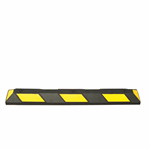 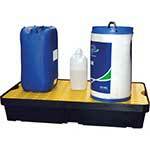 All fixings for mounting are supplied as standard. 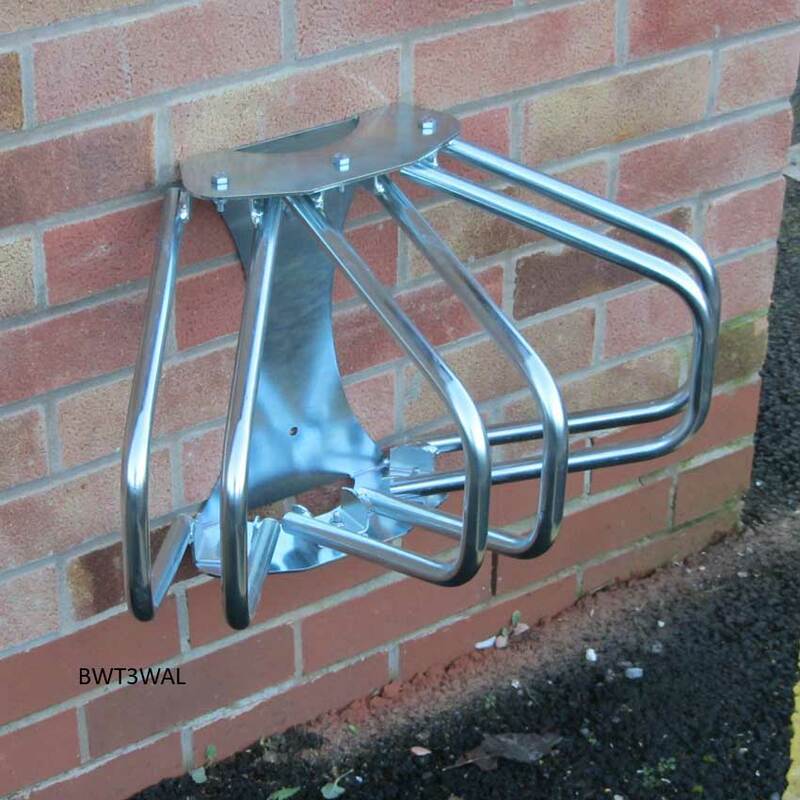 BWT3WAL - The bike stands are placed along a wall at West Hartlepool RFC. 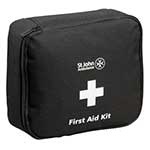 They look smart and are used by players to protect their property. They also ensure bicycles are out of the way of club users going in and out of gym and changing room corridors. 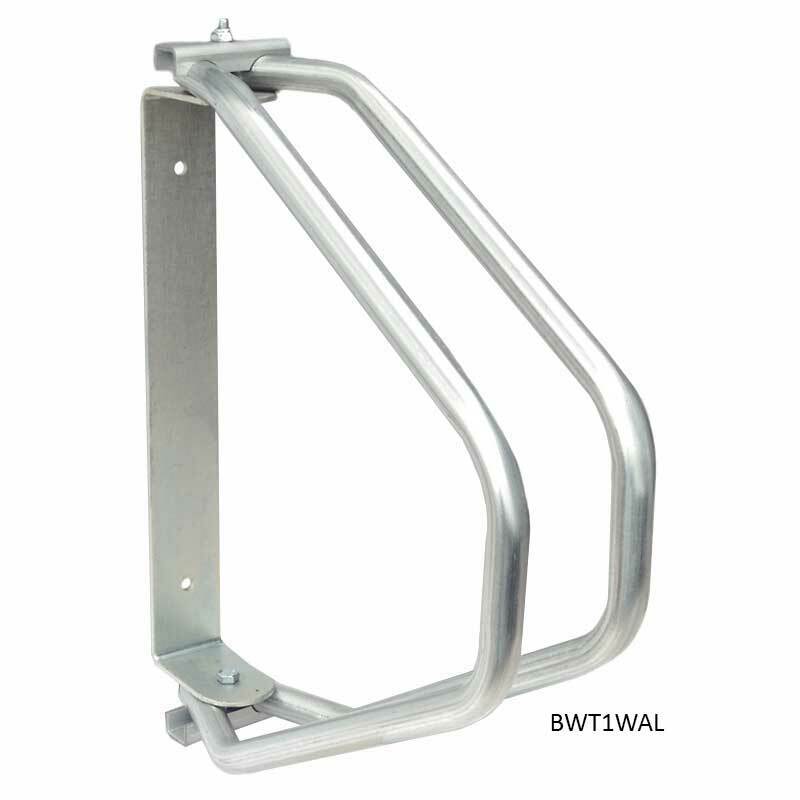 BWT3WAL - Quality of product poor Surface rust on a new products not to mention being charged delivery of £14.95.